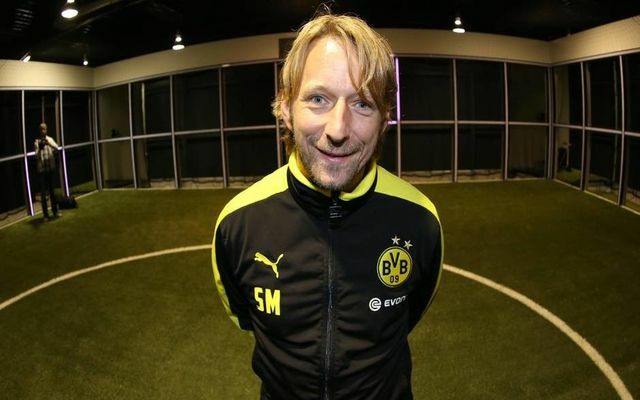 Arsenal confirmed what could be a key appointment for the club in the years ahead on Monday with Sven Mislintat brought in as head of recruitment. The former Borussia Dortmund official will start in December, as per the club’s official site, and will be expected to work alongside Arsene Wenger and chief executive Ivan Gazidis as the Gunners continue to look for quality talent to add to the squad moving forward. Few will know too much about the 45-year-old, but what is available to us is his track record at Dortmund in terms of identifying individuals who have gone on to become key players for the Bundesliga giants and have represented great business. Arsenal will hope that he can do the same in north London, and judging from this list below of top players who were signed under Mislintat’s stewardship over the last 10 years, they appear to be in safe hands as he has done a stellar job at Dortmund. After initially joining the club on loan in 2007, Hummels was snapped up by Dortmund as Mislintat identified that he was having his troubles of getting opportunities at rivals Bayern Munich. While he has since moved back to Bavaria, he enjoyed a successful spell with the club and established himself as one of the top centre-halves in Europe. Signed in a bargain deal from Cerezo Osaka in 2006, he scored 29 goals in 71 appearances in his first stint with Dortmund, before added 28 in 124 in all competitions after re-joining from Man Utd in 2014. Mislintat deserves plenty of credit from plucking him out of Japanese football and giving him an opportunity in Europe, and it certainly paid off for all parties. One of the more recent purchases, although he only stayed at the club for one season, he certainly represented great business given his transfer fee this past summer. As per BBC Sport, the Frenchman moved to Barcelona in a deal worth £135.5m, and of course while the aim is to keep these players and help your own club be successful, Dembele scored 10 goals and provided 21 assists in 49 outings last season before giving Dortmund a huge financial boost. Another one who is flourishing with Bayern now after his early success in Germany with their rivals, Mislintat showed belief in the Polish striker to take him from Lech Poznan and set him up to take his game to the next level. He ended his spell with Dortmund with 103 goals in 187 games, winning two Bundesliga titles as well as two domestic cups as he established himself as another success story of developing his game at the club to become a recognised name around Europe. While AC Milan didn’t show enough patience or belief in him to let him leave as a youngster, Mislintat stepped in while he was plying his trade in France and gave him the platform to become one of Europe’s most feared strikers. Again, credit must also go to the coaching staff and teammates to help put Aubameyang and the other names in this list in that position, but having plundered in 135 goals in 206 games since 2013, Dortmund have a lot to be thankful for when it comes to Mislintat’s influence during his ten-year stint with them.